The blog below has information that each guest can use to make their trip to San Diego a memorable one. Please visit our main blog page for even more information and tips and tricks you can use while in San Diego. If you are an owner of a vacation rental, we have another blog with 100's of ideas and tips on how to maximize your bookings. To visit this blog, please go to Vacation Rental Owners Blog. 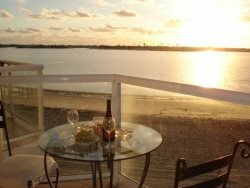 Please visit our main blog for everything you ever wanted to know about San Diego Vacation Rentals, things to do in San Diego, the best restaurants in San Diego, and festivals and concerts.